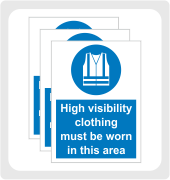 Display Safety Clothing (PPE) Signs to give clear instructions, to all employees and visitors as to when protective clothing and protective equipment must be worn in the workplace. 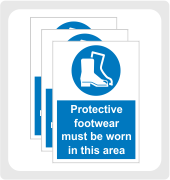 If certain items of protective clothing and equipment need to be worn in designated areas, then displaying Safety Clothing (PPE) Signs is an ideal way to constantly remind people to wear the correct Workwear & PPE, for their own safety. 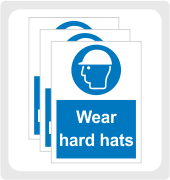 Ensure a safe working environment with our range of Safety Clothing (PPE) Signs. 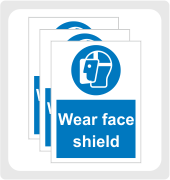 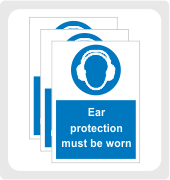 We have many different signs available such as Head Protection Signs, Eye Protection Signs and General Protective Clothing Signs. All of our signs are available in a range of different materials and sizes.